Landing Pads for Helicopter Parents. Sending junior off to college far from home doesn’t have to mean an empty nest for helicopter parents, who are investing in homes in their kids’ university towns—not as an alternative to dormitory living but to use as a home base for frequent visits throughout the school year. The Fairmont Heritage Place Ghirardelli Square in San Francisco; The Residences at the Ritz-Carlton, Dove Mountain, near Tucson, Ariz.; and The Cliffs in Greenville, S.C., are marketing their developments to parents and alumni of nearby universities. The pitch: Owning a pied-a-terre during parents’ weekend, sporting events, and reunions is more comfortable—and a smart investment. 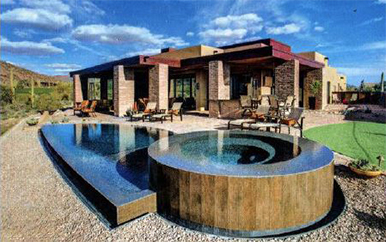 A three- bedroom home at the Ritz-Carlton Residences at Dove Mountain, near the University of Arizona. “Not having to be susceptible to the hotel-rate compression typical in the few adjacent lodging options near these universities during peak times is a major owner benefit that reduces a lot of the usual travel headaches for parents,” claims Kevin Morgan, vice president of acquisitions and finance for JMA Ventures, which owns the Fairmont Heritage Place. Nearly 15% of JMA’s sales are to families with children at or heading to Bay Area universities like Stanford and the University of California, Berkeley. Wise? Clear Capital, a value of real estate, says home prices in metropolitan areas with a noteworthy university have outperformed national rates of growth since 2004. That makes them not only great markets for second-home owner-ship, but also ideal lookout posts for keeping tabs on Tommy.